An arched entrance to a house with vines growing around the arch and spreading closer to the door. Two white benches stand on each side of the door with a step leading up to them from the ground. Windows and shutters are partly visible on either side of the entrance and a white door with glass panes leads to the house. 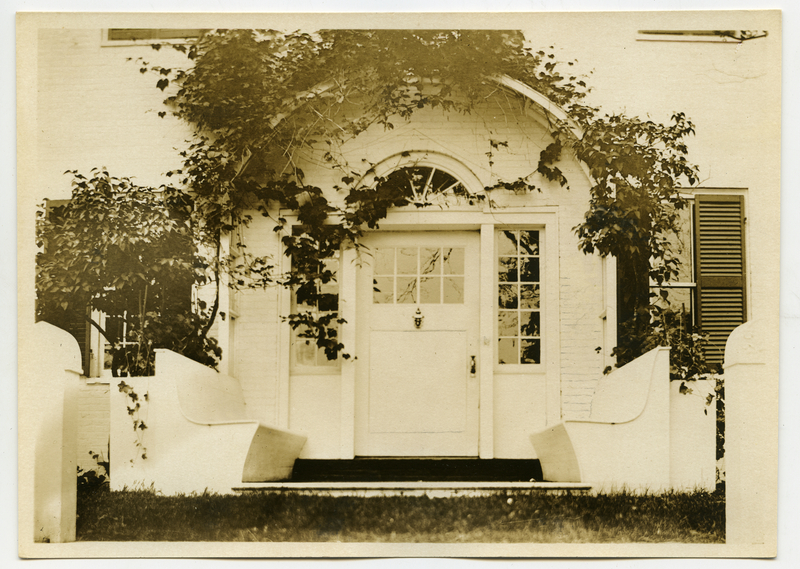 Johnson, Clifton, 1865-1940, “Entrance to the St. Gaudens home,” Digital Amherst, accessed April 23, 2019, http://www.digitalamherst.org/items/show/3548.